If you suffer from constipation, bloating (several times weekly or daily even), IBS, Crohn’s, or GERD, you’re probably frustrated with your symptoms and confused about what to eat and what to avoid. Maybe you’ve tried GAPS, SCD or paleo and haven’t found success. Or if you’re recently diagnosed with SIBO (small intestinal bacterial overgrowth), this post is for you. I’ve had a lot of success working with clients whom I’ve coached through a low FODMAP diet, and they’ve finally found relief from GI pain & bloating (and also the helpless feeling that comes with not know what foods trigger GI distress). FODMAP is an acronym for Fermentable Oligosaccharides, Disaccharides, Monosaccharides And Polyols. These short-chain carbohydrates contain sugars that are fermented by gut bacteria, causing bloating and discomfort. The foods that are high in these FODMAPs are poorly absorbed in certain people in their small intestine, where the bacteria present ferment them, causing pain, gas/bloating, and diarrhea. In healthy individuals these foods are beneficial. The FODMAP foods also feed bacteria trapped in the small intestine (an overgrowth called SIBO), contributing to GI distress. Click here for more on SIBO. Fructans: artichokes (globe), artichokes (Jerusalem), asparagus, beetroot, broccoli, Brussels sprouts, cabbage, eggplant, fennel, okra, chicory, dandelion leaves, garlic (in large amounts), leek, onion (brown, white, Spanish, onion powder), radicchio, lettuce, spring onion (white part), wheat, rye, pistachio, inulin, fructo-oligosaccharides. Lactose: milk, ice cream, custard, dairy desserts, condensed and evaporated milk, milk powder, yogurt, soft unripened cheeses (such as ricotta, cottage, cream, and mascarpone cheese). Galactans: legumes (such as baked beans, kidney beans, soybeans, lentils, chickpeas). Polyols: apple, apricot, avocado, blackberry, cherry, longan, lychee, nectarine, pear, plum, prune, mushroom, sorbitol, mannitol, xylitol, maltitol, and isomalt. The diet seems high maintenance, but you’ll get the hang of it, and remember: it’s not forever. In fact, you shouldn’t stay on this diet longer than 3-4 months because it starves out your own beneficial pre- and probiotic bacteria. Try avoiding these foods for a minimum of 60 days before you begin reintroducing. I recommend testing to see if other bacterial overgrowths or parasite infections are present so you can treat those at the same time. Here’s a great chart of foods to avoid and include. Keep in mind that these foods are somewhat variable. Some foods on this list may adversely affect one person but not another. Everyone is so physiologically different that it takes a bit of trial and error, and I think it also depends on the severity of SIBO or other bacterial overgrowth in most folks. The biggest “maybe” foods are nuts, cruciferous, coconut, and avocado–some do fine with these; others not so much. The highest FODMAP foods seem to be onions and garlic, and many of my GI cases really don’t do well with tomatoes, so take care to avoid these three foods initially. If you’re symptom-free for 3 months, you can begin reintroducing. You may be able to tolerate small amounts of FODMAP foods; it’s really a threshold issue. So what causes FODMAP reactions? If you have IBS, Crohn’s or SIBO, you likely have a problem digesting FODMAPs. SIBO is found in many Crohn’s and most IBS cases, but it is not bad bacteria by nature– it’s just bacteria trapped in the wrong place in your intestinal tract (the small intestine). The cause may be poor gut motility, so bacteria gets trapped in the small intestine rather than being swept down into the large intestine where it belongs. Some people may lack the enzymes or beneficial bacteria needed to break down these FODMAP foods. In the case of IBS, the FODMAP foods will exacerbate symptoms and contribute to inflammation, but they aren’t a known cause. Better yet, what to do about it? 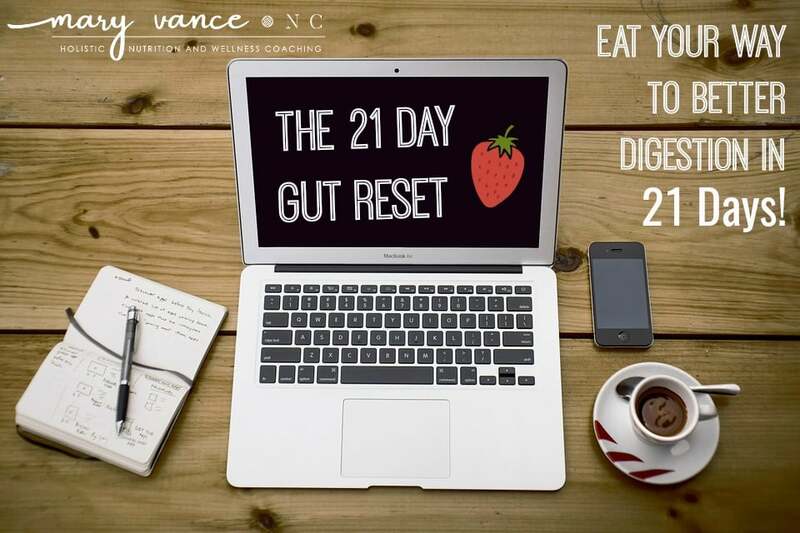 IBS or other sufferers of chronic inflammatory digestive issues do well on this plan, mostly because the inflammation in their gut destroys the ability to break down these foods, and they lack the proper enzymes. Typically if I see someone who complains about a lot of gas or bloating or IBS type symptoms, and they can’t figure out which foods are causing the problem (because they’ve already eliminated the main culprits like gluten and dairy), that’s one good indicator that they’re a perfect candidate for this diet. And 9 times out of 10, they do feel better. So step one is all about eliminating the FODMAP foods to calm inflammation and give the gut a rest. Step 2 is to kill off SIBO or other bad bacteria that is contributing to dysbiosis. There is a very particular protocol you must use to kill SIBO. You can read more about it here. Step 3 is to repair the gut with probiotics (you must be careful with probiotics post-SIBO) and a leaky gut healing protocol. Other helpful tips for healing: lots of bone broth, which contains gelatin and collagen and other gut-healing nutrients. Probiotic foods like raw kraut, kvass or kombucha drinks (skip the dairy!). 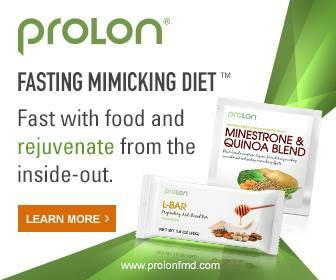 Glutamine is a great gut healer, and I use that as part of my leaky gut healing protocol. Stress contributes to dysbiosis, so consider measuring your cortisol levels and figure out what works for you in terms of addressing your stress level. Chris Kresser wrote a good article about how stress wreaks havoc on your gut. Follow this low FODMAP plan for at least 60-90 days while working to correct the cause of FODMAP intolerance, then begin adding the foods back you really miss (like onions and garlic) to see if there’s any improvement. You won’t (and shouldn’t) have to eat this way for life, so don’t give up! Here’s more info about how to curate a FODMAP diet. Wake up, drink a glass of room temp water with a splash of apple cider vinegar to rehydrate. Green tea. Breakfast: organic sausages with chard, or eggs poached over a bed of greens (kale and chard; spinach can be an irritant). Lunch: nightshade free meat sauce under roasted spaghetti squash (mmmmm, see recipe, below). Keeps well for days! Chia pudding with hemp milk. Stick to cooked, easy to digest foods during this time. Raw foods are harder to digest. Add some garlic infused olive oil to a pan. Brown meat in a cast iron skillet and grate in liver. Season with salt and pepper and remove from pan. Add more olive oil if needed and carrot and zucchini and spices and cook for about 5 minutes, then add meat back, toss everything together, and add wine. Let reduce for about 15-30 minutes. I sometimes add tamari or coconut aminos for extra flavor I usually add some garlic powder and Italian spice blend too. Taste to adjust seasonings. So cabbage is a no, but raw kraut is ok? Correct. the fermentation breaks down the starches. I don’t think your subscribe button is working. 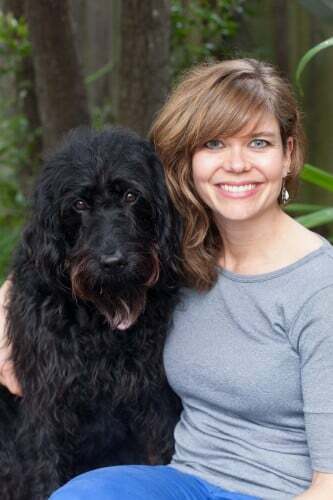 Thank you for writing about SIBO. 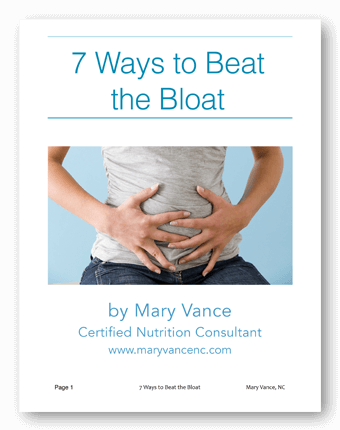 I have daily bloating – it’s worst at night – seems to just increase during the day. I find the area of the abodomen between the belly button and the ribs to be most affected and really makes me look 4 or 5 months pregnant. Then usually by the morning, it’s gone down. I’m trying low fodmaps, but haven’t yet seen too much success. Haven’t been on it too long. Does it sound like it could be SIBO? I occasionally get bad bouts of gas (that could een last for days), but my most consistent symptom is the bloating. Thank you. Thank you, mailing list fixed. Gas can be caused by so many things from food allergies to bad bacteria to SIBO. Ask your doctor for testing. why is it that every article I check out on the SIBO diet is so different in the allowed and forbidden foods? The discrepancies make it discouraging to even try the diet. Your suggestions are much more limited in what is allowed than any other I have seen, although that does not mean you are wrong. My “gut” (LOL) seemed to agree with your sibo diet but then I have seen so many others that have caused me to wonder. There is a lot of conflicting info on FODMAP content. The Monash guidelines are pretty solid. It’s a relatively new diet plan, so we’re still experimenting. And some people may be able to get away with higher FODMAP foods than others, or higher FODMAP foods in smaller amounts (avocado, sweet potato, for example.) Truth is, the FODMAP diet wasn’t really designed to correlate with SIBO. it’s more of a gut healing plan, and it also has the benefit of restricting the starches those bacteria like to eat. Ooops, still don’t think your subscribe is fixed. I’ve been suffering for years and have eliminated garlic and onions for years! 1 1/2 yrs ago I eliminated all gluten (Target brand is the best GF spaghetti) and, 3 weeks ago I eliminated sugar. By evening I still look like I’m 6 months pregnant. I need HELP! I drink about 24 oz of coffee a day and about once a week have 1 or 2 glasses of Malbec or Merlot. The only dairy I eat is a couple pieces of cheese a week. I also take a 80 billion probiotic daily. I’ve eliminated so many foods that what the heck, I will go on this food plan for 60 days and hopefully I’ll get relief! More recipes would be great. Maybe a liver detox tea would help? Any help subscribing would be appreciated. Thanks for letting me know, Jane. It seems the sign-up boxes are broken right now, and I’m having my designer fix them. Meantime I can add you manually to the mailing list. Well considering this is supposed to heal the gut, hocolate should be a no-no. I’m suffering with gastritis and candida so some of the things in here are off limits…it’s so frustrating Idk what to eat. What can I do if I have SIBO and I have to keep the IR diet as well? I have to eat 140-160g ch a day. What ch van you recommend? Agnes, I don’t understand your question.